Add this beautiful swag to your windows and enjoy the view! Printed on a cotton jacquard base cloth, Belladona Lined Empress Swags feature a traditional Jacobean floral pattern done in a color story of blues, greens, and sunshine yellow, on an ivory ground. 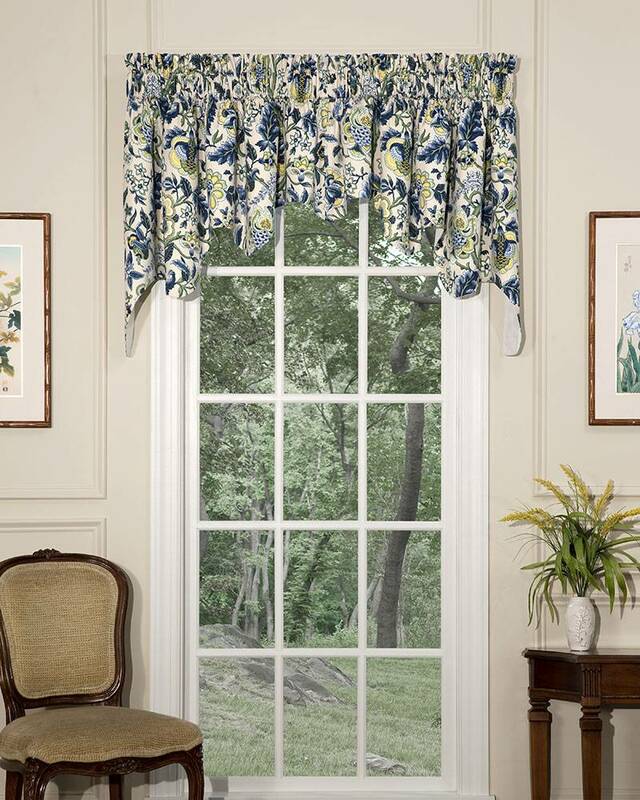 This versatile window swag can be hung alone, as pictured above, or combined with Belladona Empress Filler Valances to cover wider windows. Insert one or more filler valances between the right and left swag panels. Made in the USA.